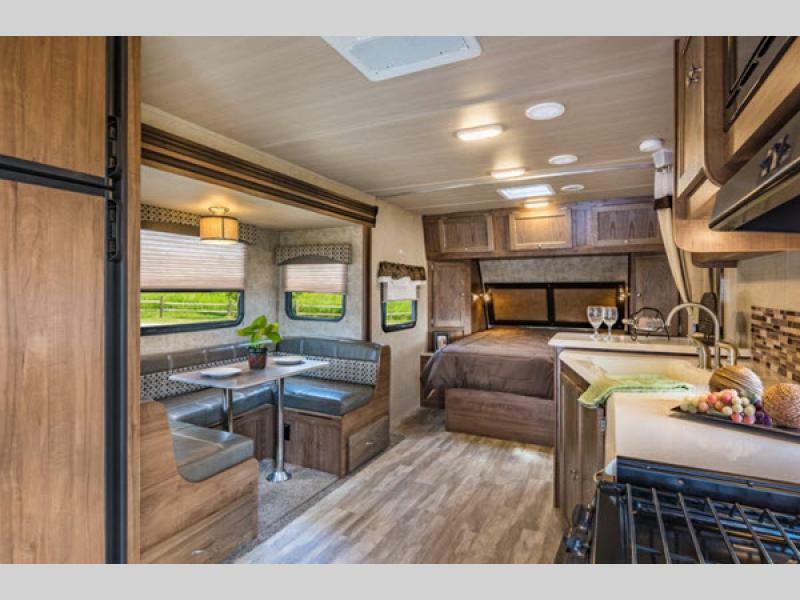 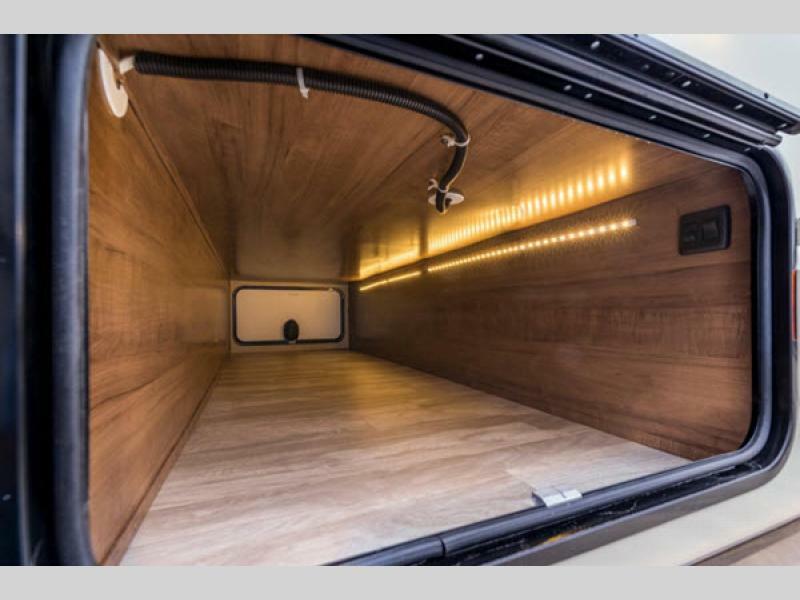 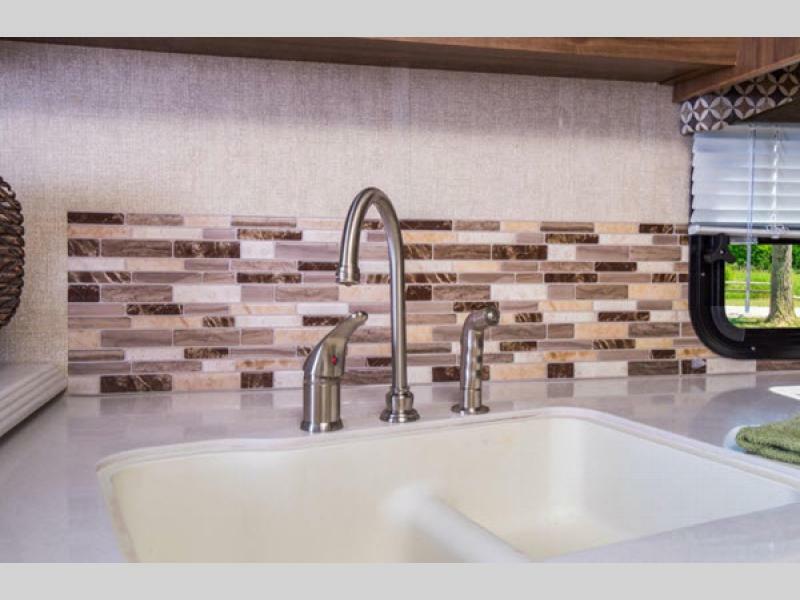 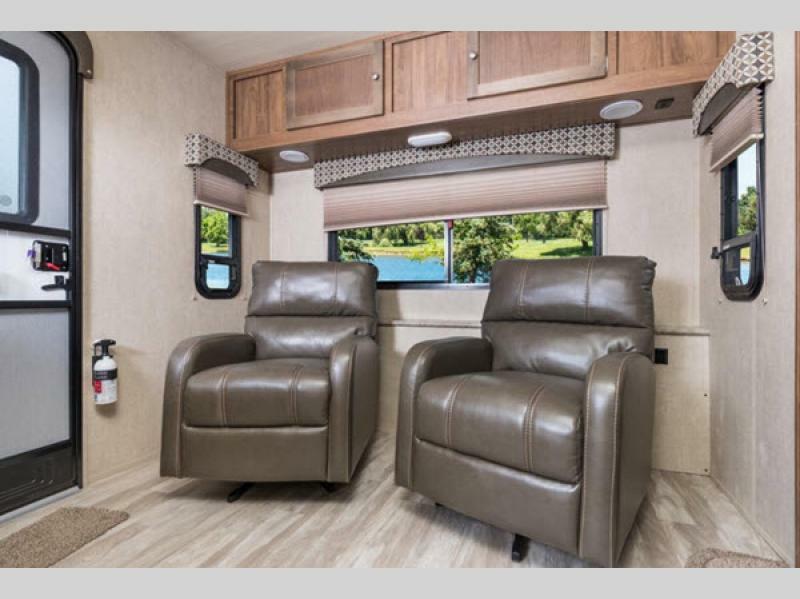 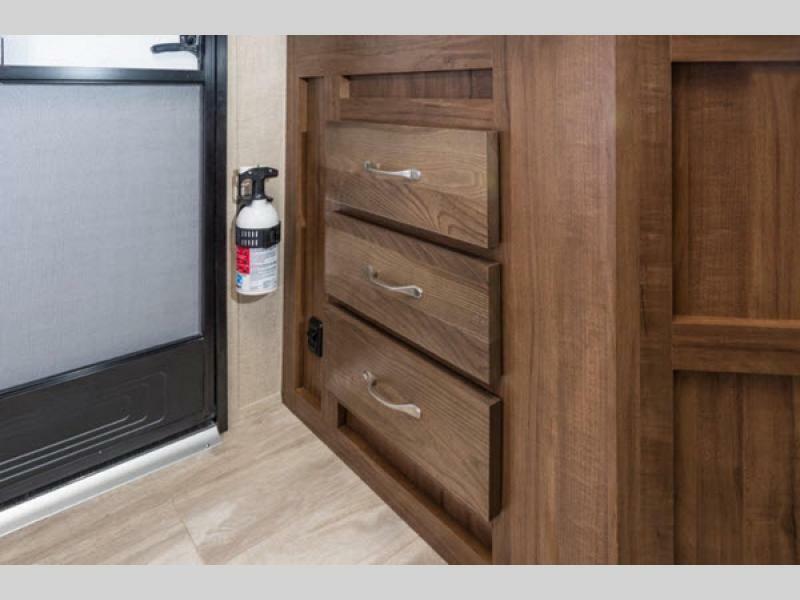 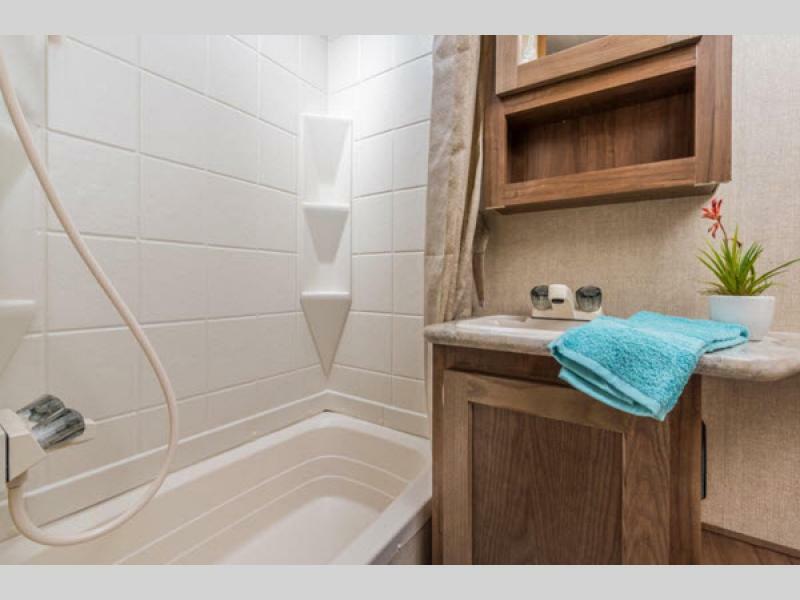 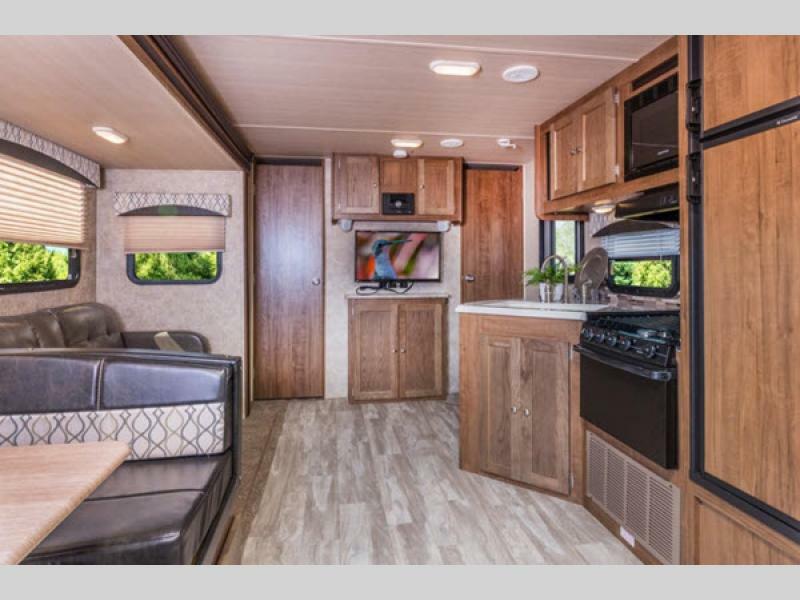 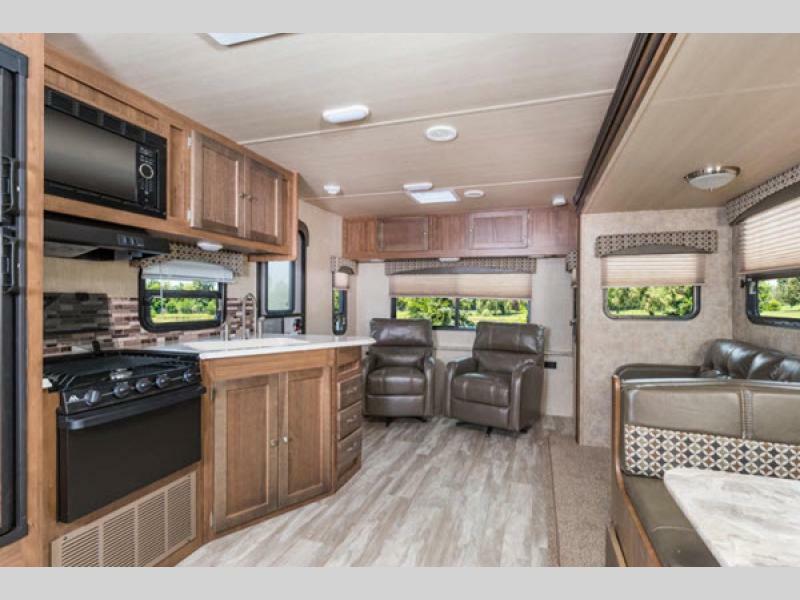 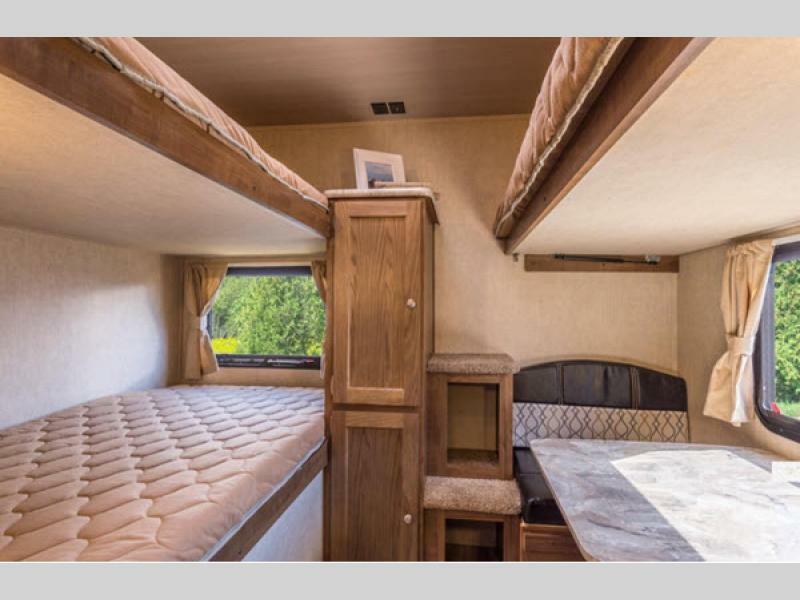 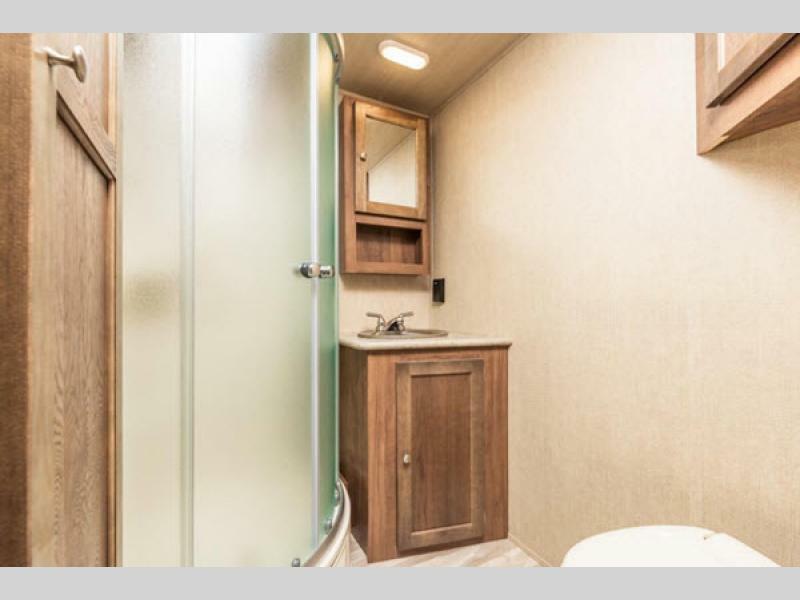 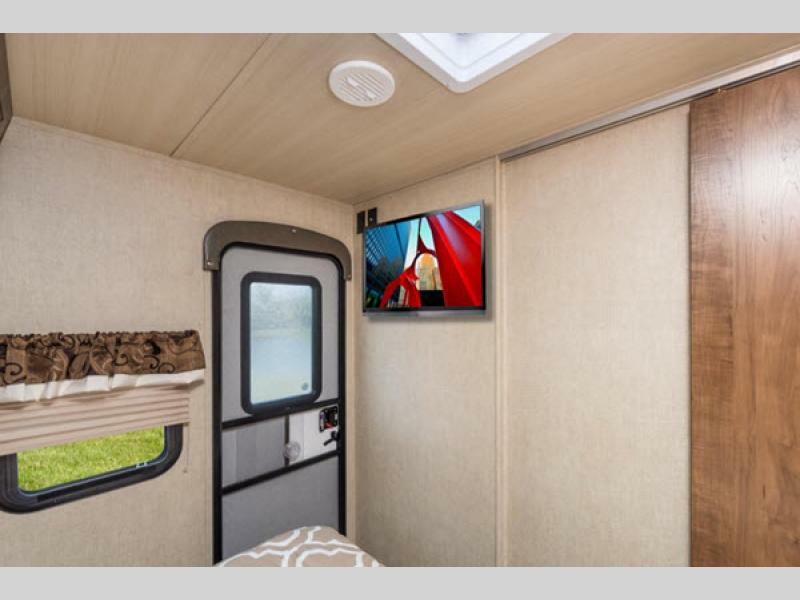 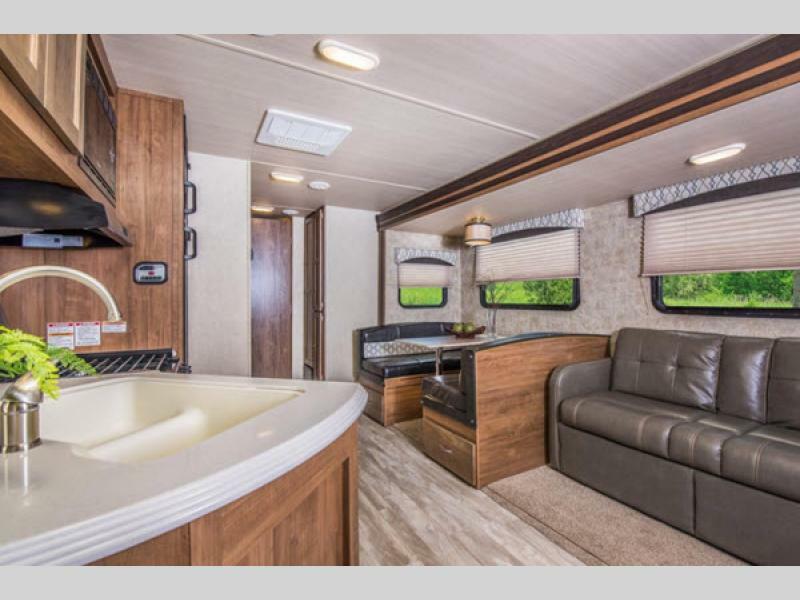 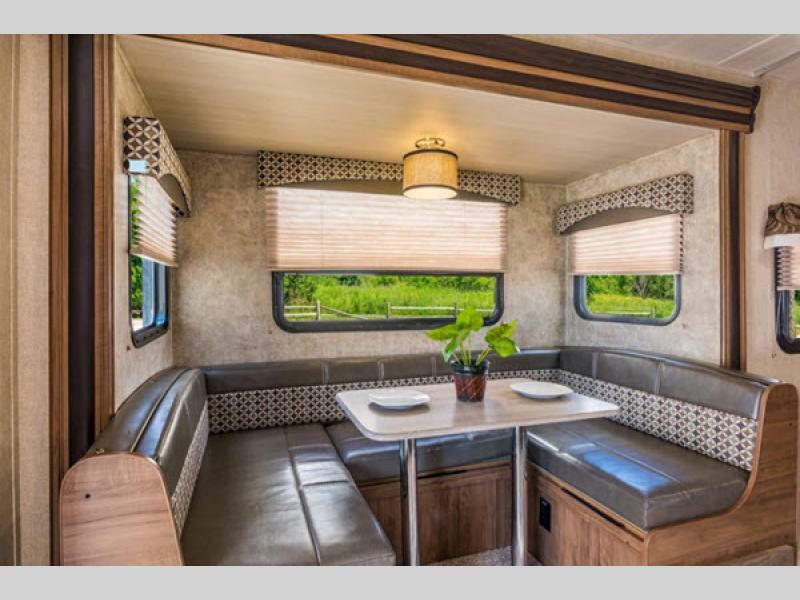 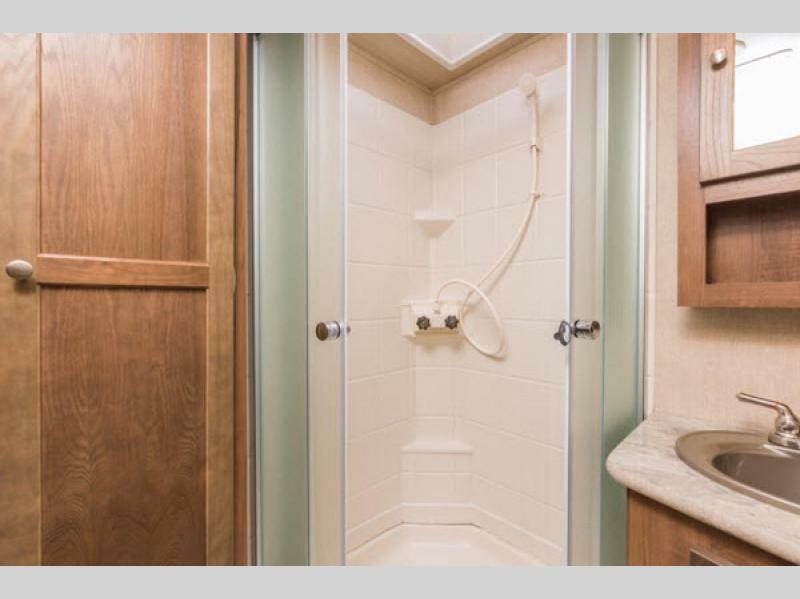 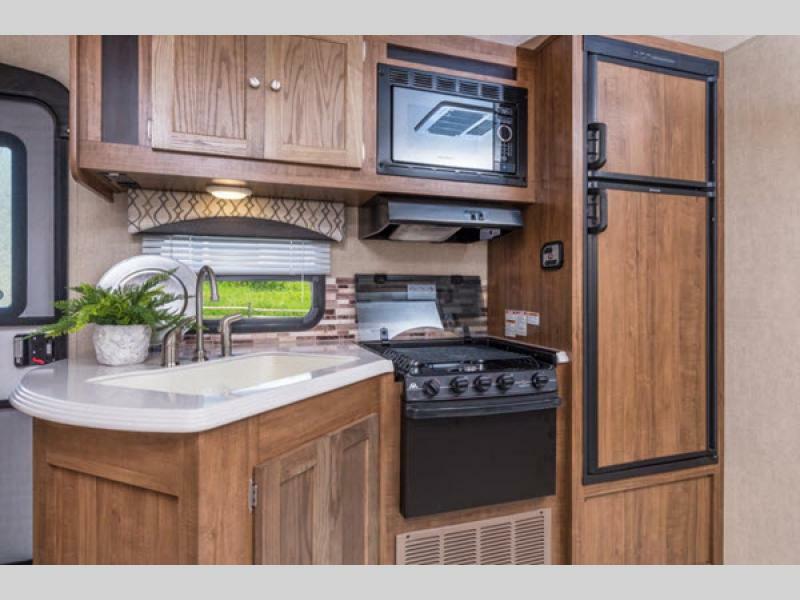 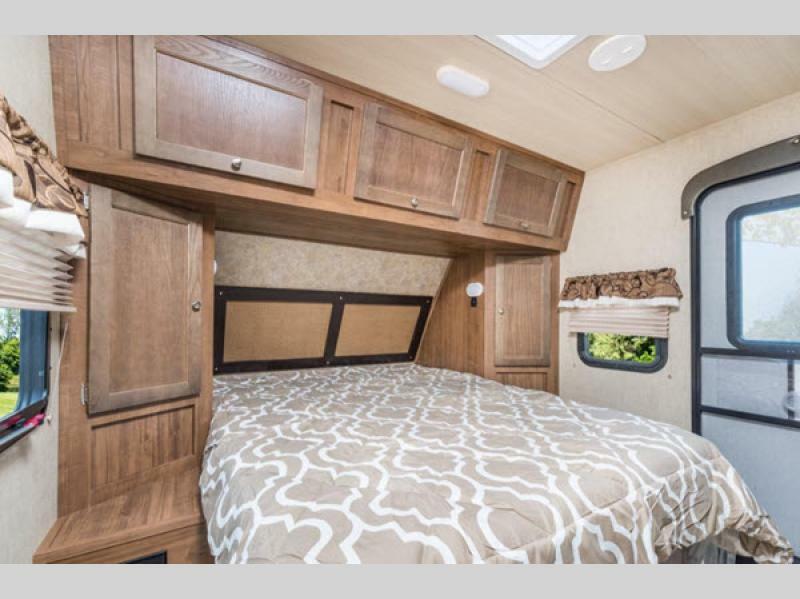 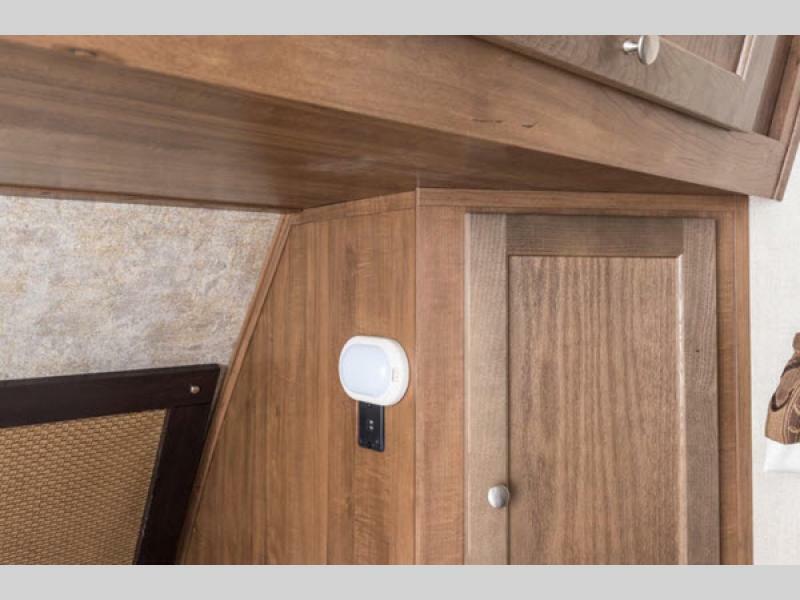 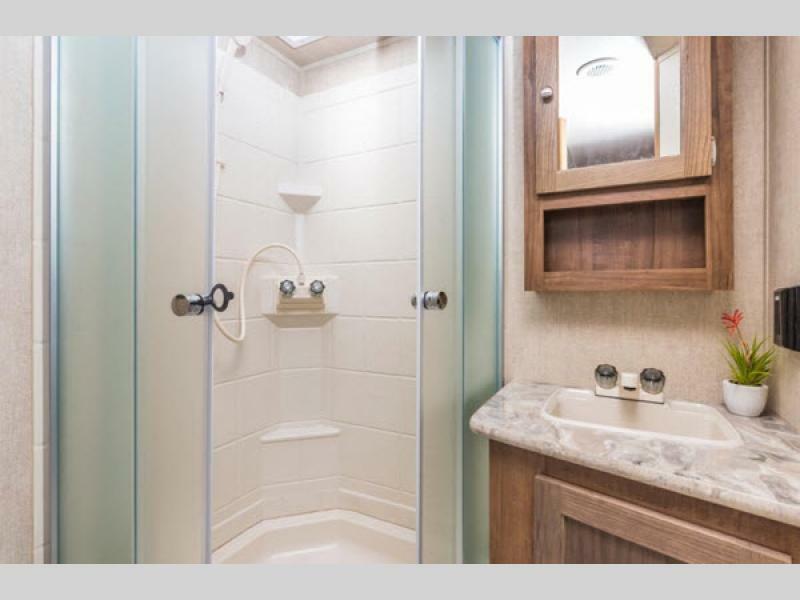 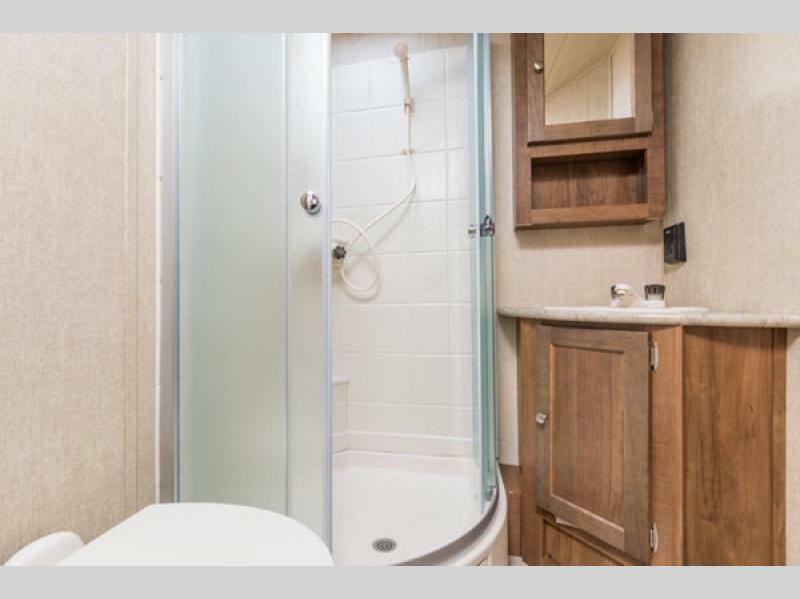 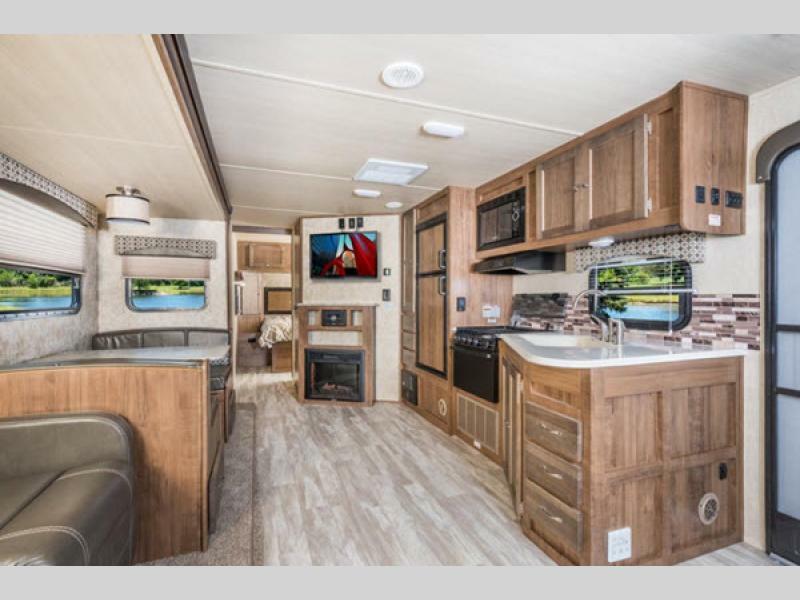 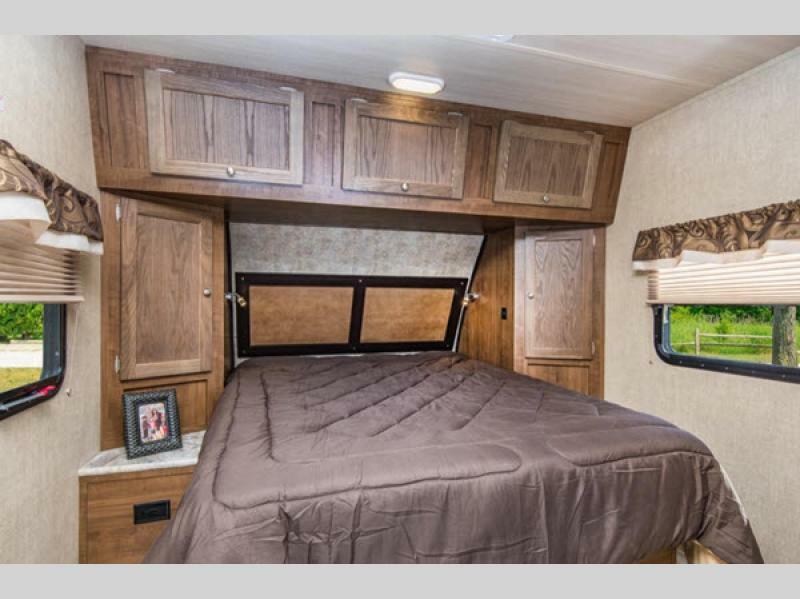 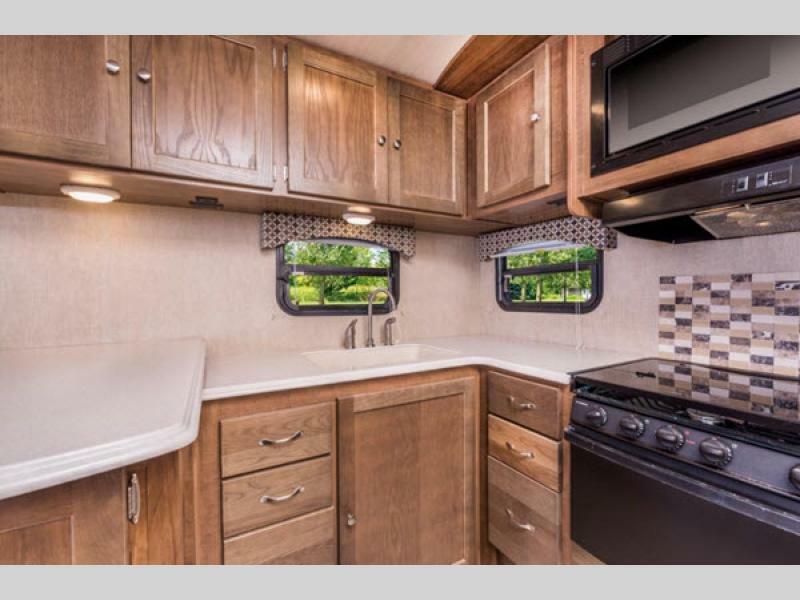 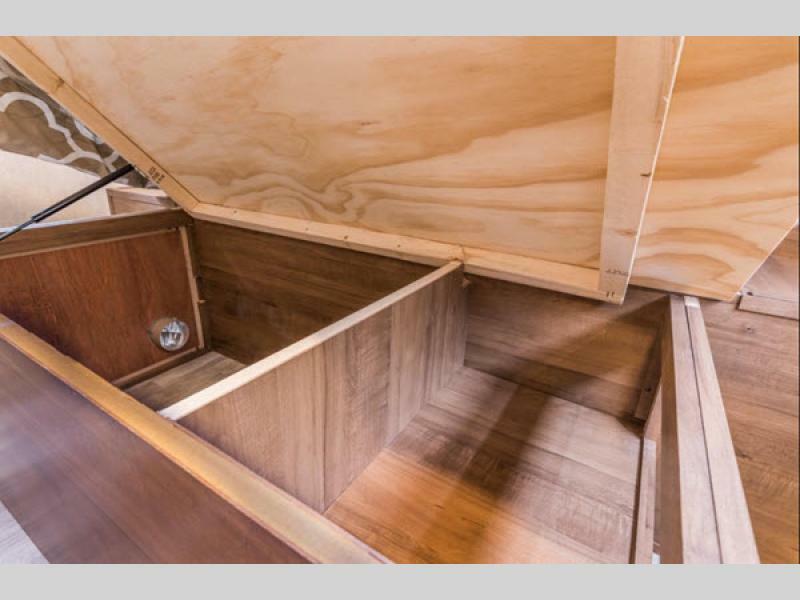 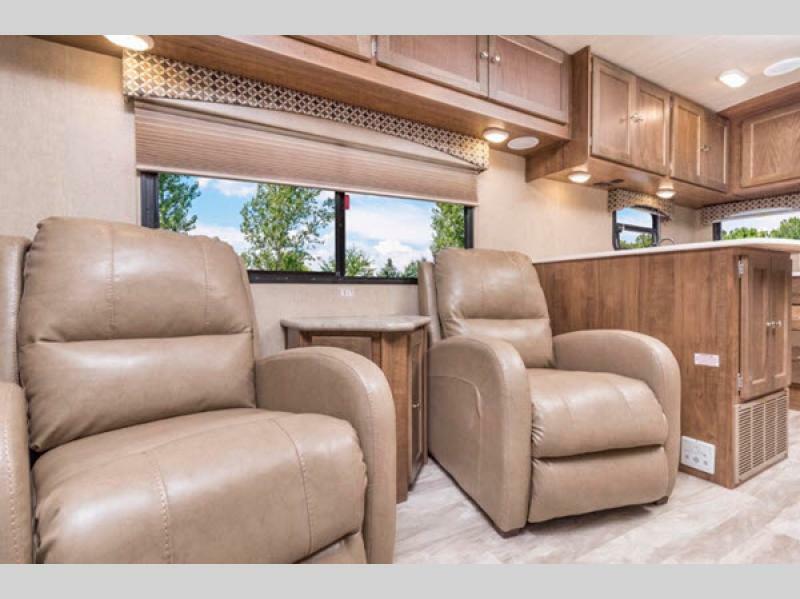 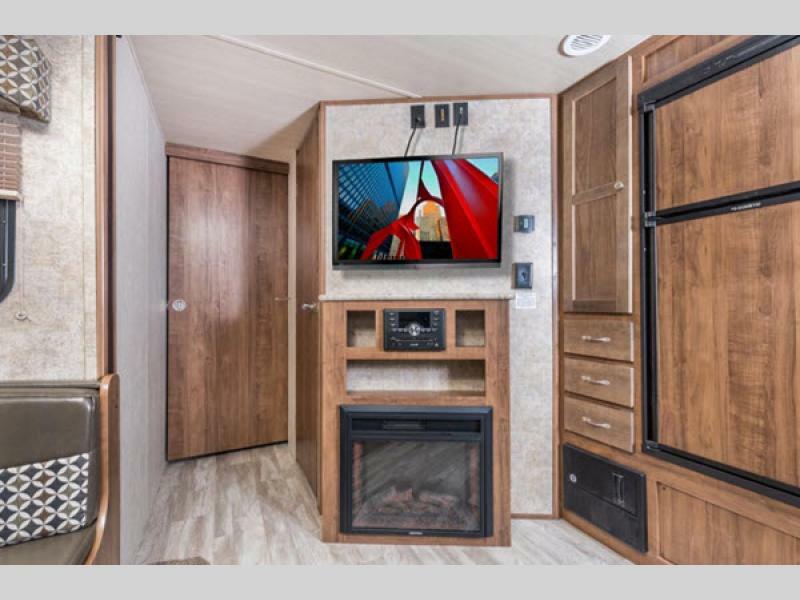 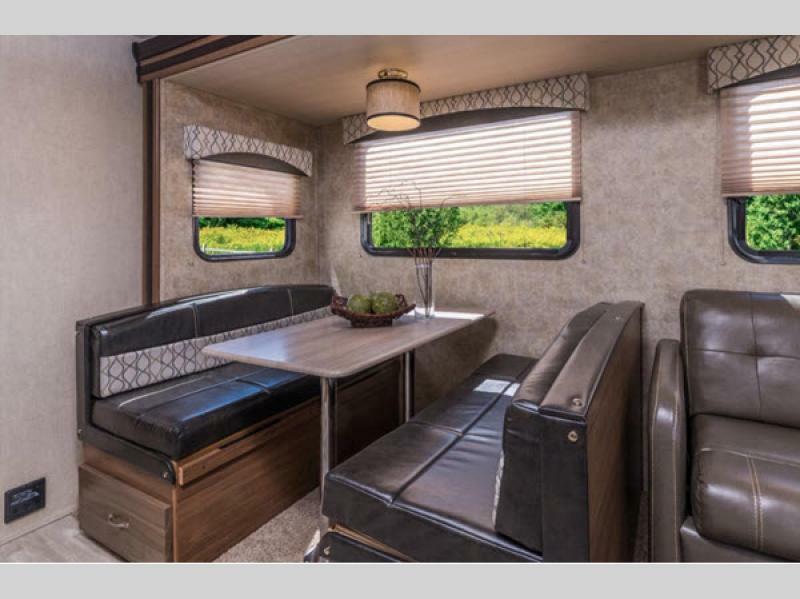 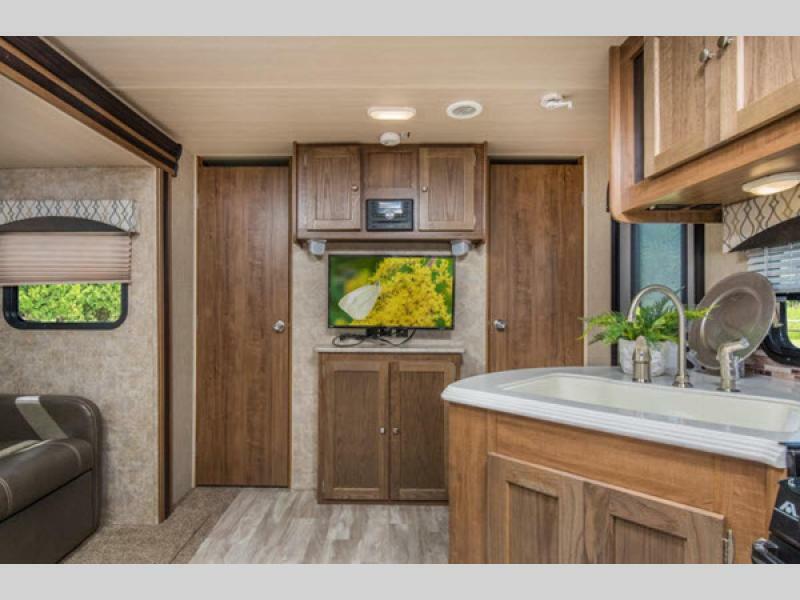 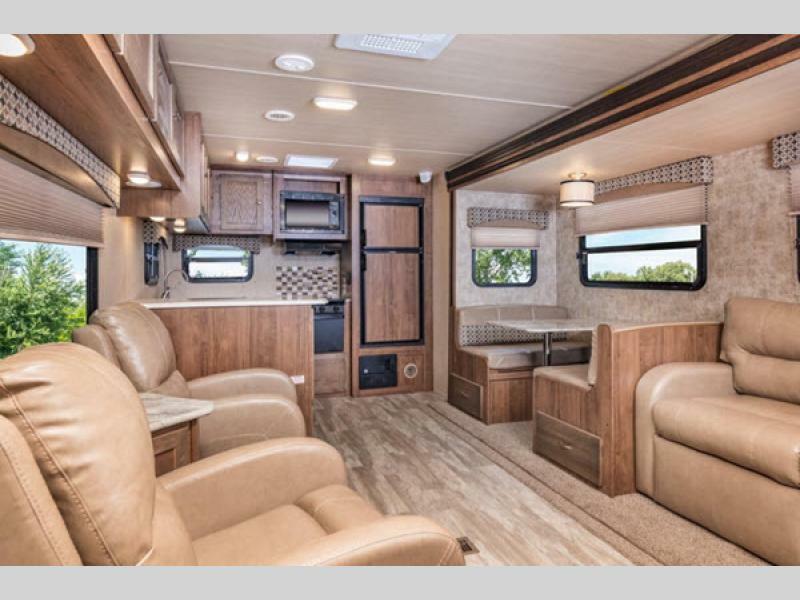 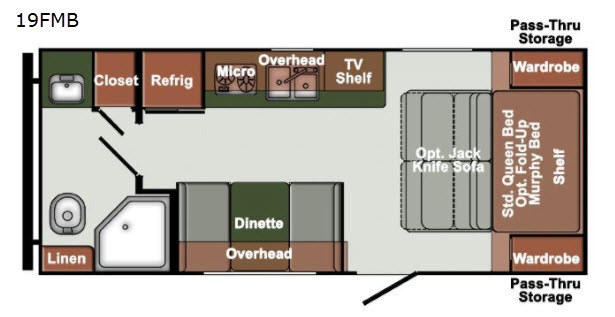 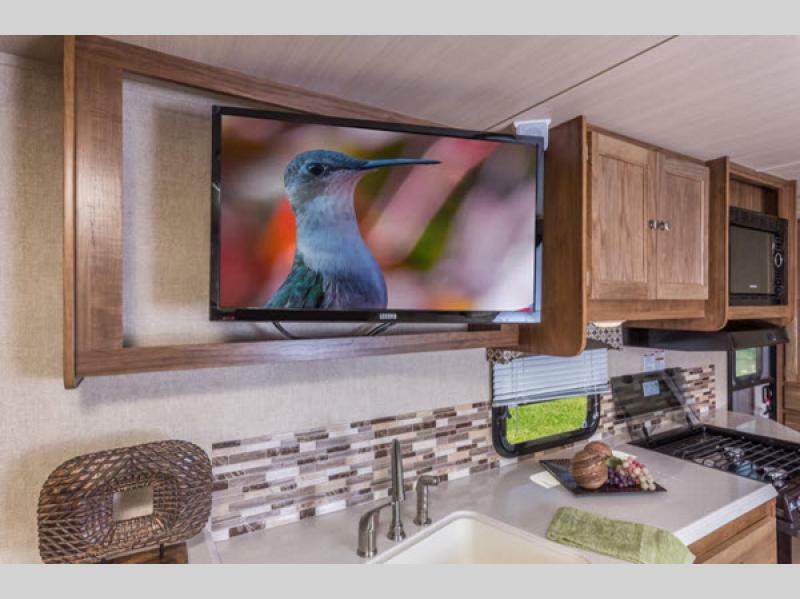 If you are looking for a high-value combination of both style and affordability, then these Gulf Stream GEO travel trailers are exactly what you have been searching for. 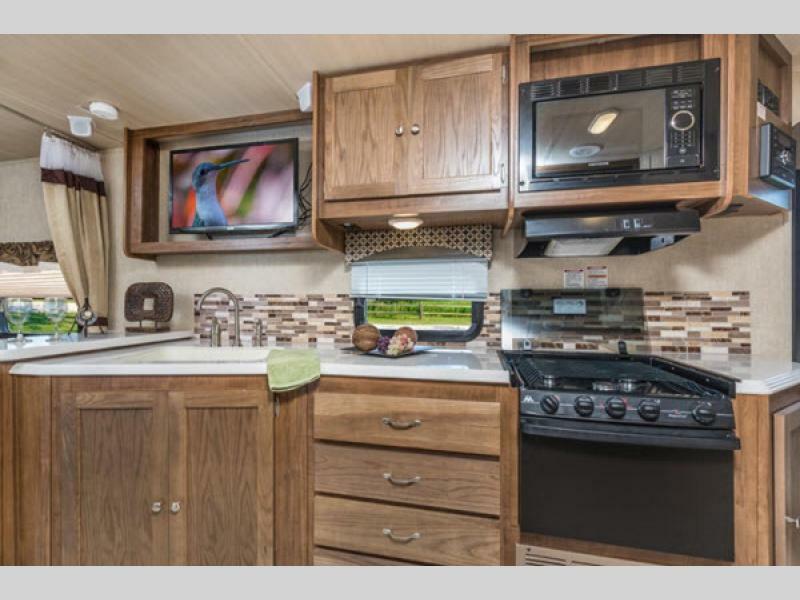 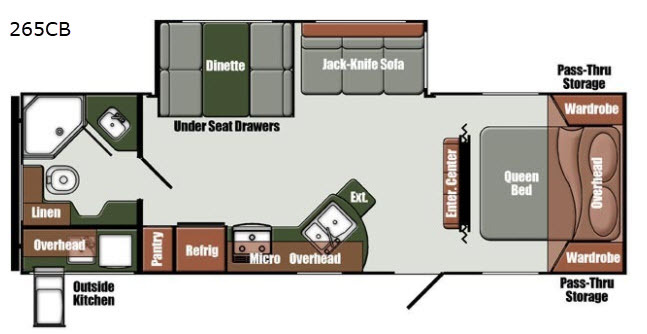 Because of their home-like amenities and modern conveniences, these trailers are a perfect fit for your next family getaway. 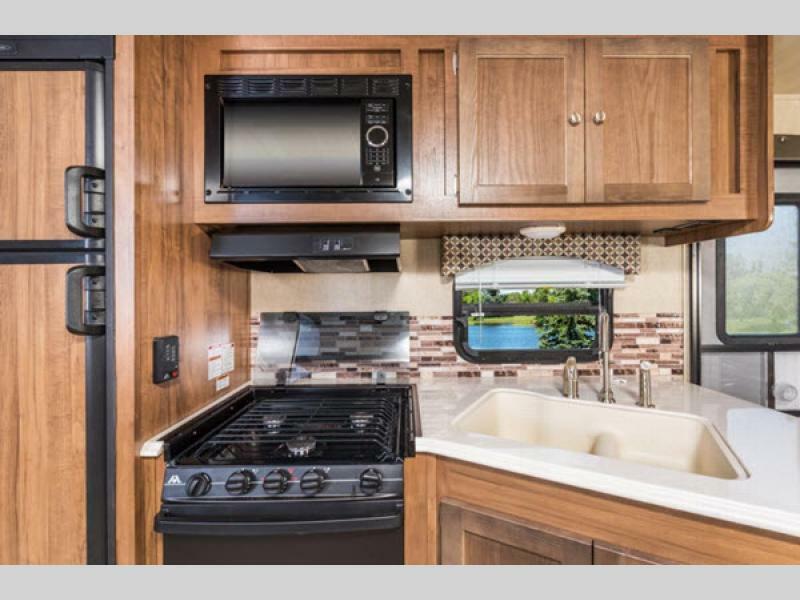 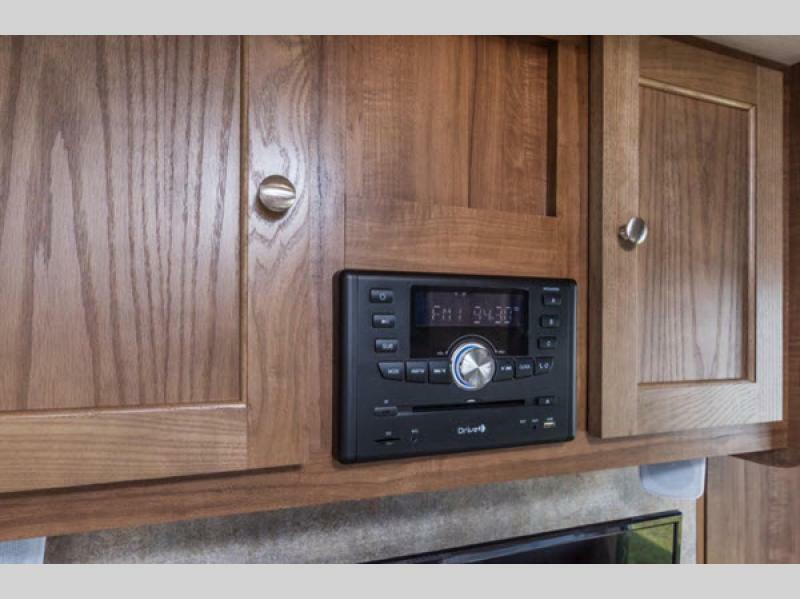 The fully equipped kitchen comes with a 6 cubic foot double-door refrigerator, microwave, and three-burner range with oven making it possible for you to create healthy and hearty meals for everyone even while traveling. 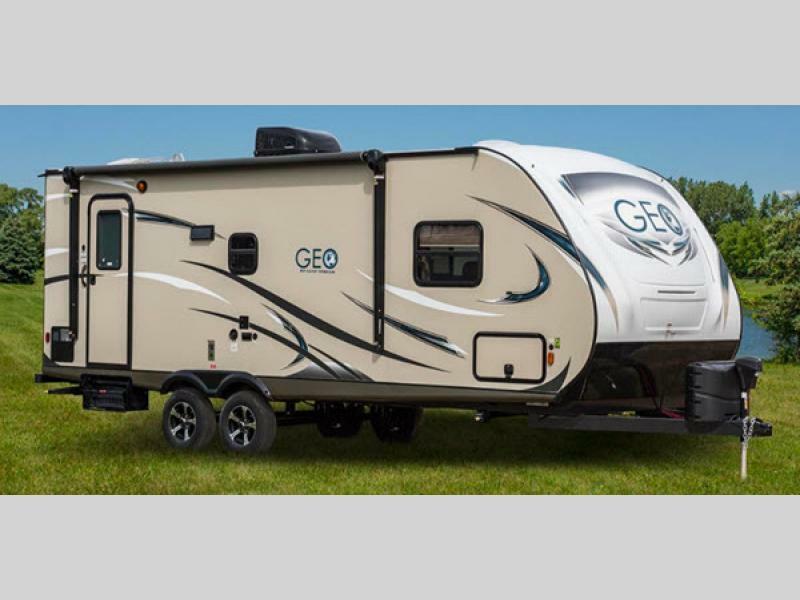 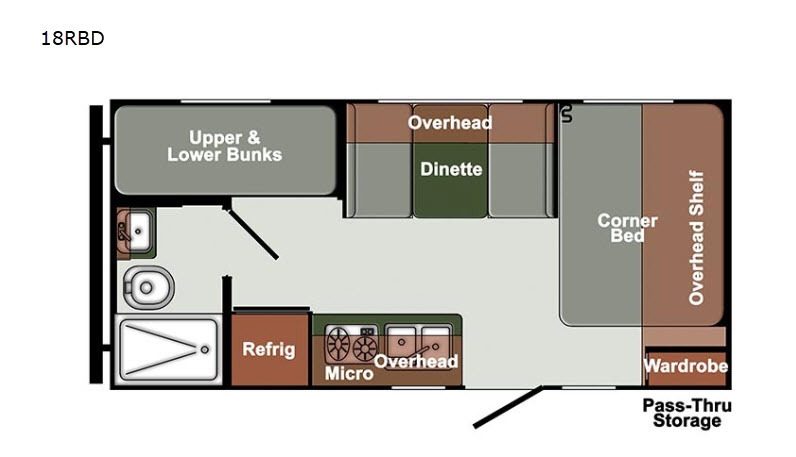 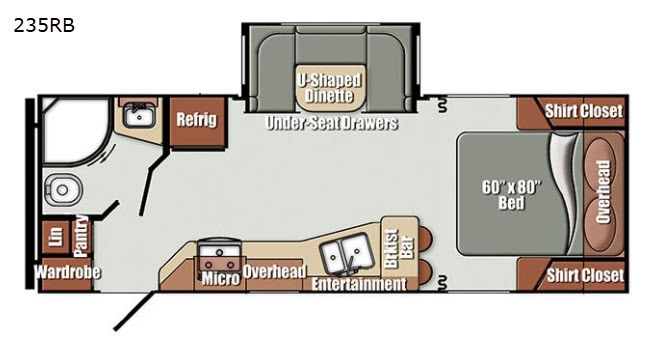 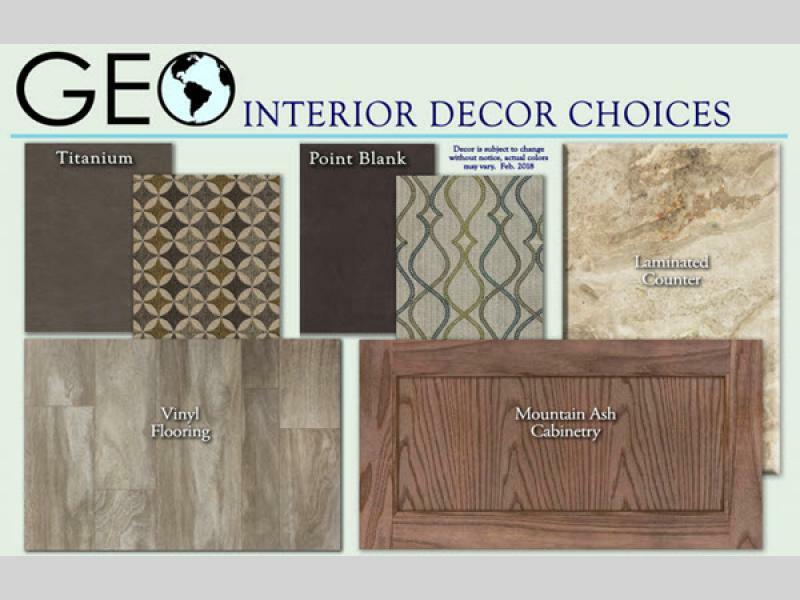 Discover the strength, quality, and style that comes along with owning one of these Gulf Stream GEO travel trailers!